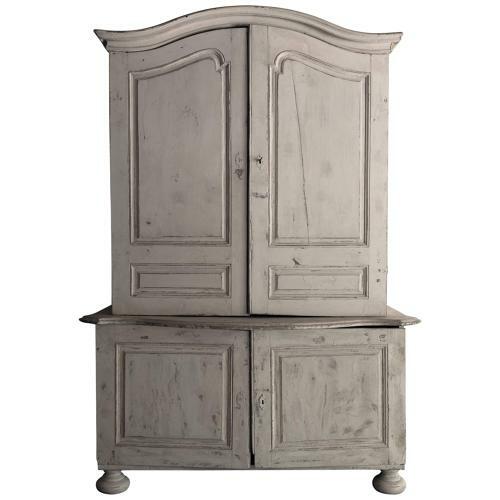 An impressive large painted cupboard with partly original paint. Found in a castle, where it had been installed in the dining room as part of the boiserie. H 96.07 in. x W 66.93 in. x D 31.5 in.